It has always been very reassuring when sending a Brief to Mrs Bath to know how diligently and comprehensively the papers will have been considered and any client will know that their case has been expertly analysed and every conceivable argument utilised on their behalf. Baljinder practises in all areas of family law. She has a fine forensic mind and is always immaculately prepared. She works hard to try to negotiate the best outcome for her client, but does not shy away from a battle in court if the case requires it. She has a reputation for being a focused and tenacious advocate. For 21 years, Baljinder was based on the Western Circuit, practising in all areas of family law. In public law proceedings, she is regularly instructed by Local Authorities, Parents and Children’s Guardians. She has a particular expertise in cases involving FII behaviour, non-accidental injuries, and physical and sexual abuse. 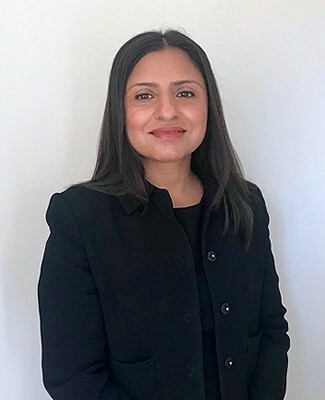 Baljinder also has a significant private law practice, having dealt with cases involving parental alienation, intractable contact disputes and applications for leave to remove from the jurisdiction. Baljinder has a particular interest in cases involving children and / or parents with special needs, including those on the autistic spectrum. Her Financial Remedies practice covers all areas of matrimonial finance ranging from ‘needs’ cases to high net worth clients. She is often involved in cases, which require an intervener. In compliment with her Financial Remedies practice, Baljinder undertakes disputes between co-owners, cohabitants and family members, including TOLATA applications, occupation orders, and applications under sch.1 of the Children Act 1989.